Tea time gets streamlined. 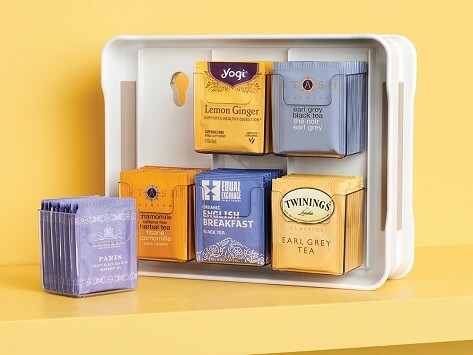 This tea bag organizer keeps all those little bags (up to 120 of them) neat and tidy. Clear bins let you see the whole collection and the adjustable organizer can do its job in a cabinet or on the countertop. Dimensions: 10.8" x 4.9" x 8.6"